Built in the 1880s as a private home for Thomas Pain, Audleys Wood Hotel subsequently enjoyed a rich and colourful history, with owners and visitors including the rich and famous. 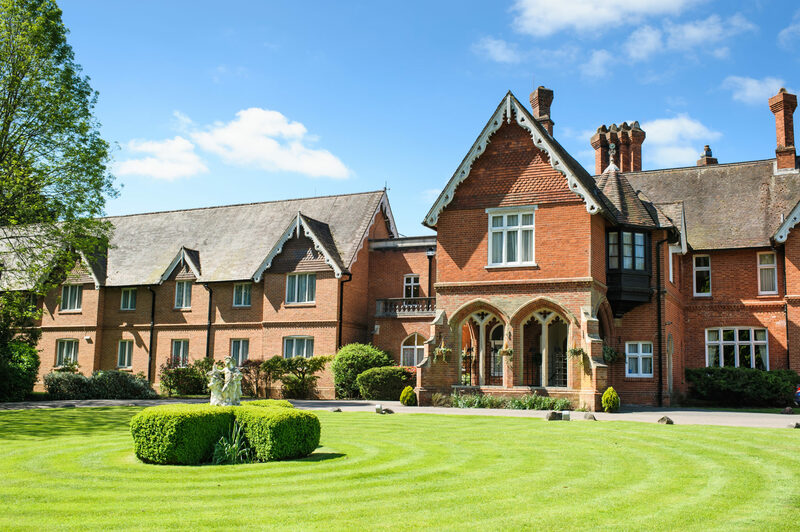 Built in the 1880s as a private home for Thomas Pain, Audleys Wood Hotel subsequently enjoyed a rich and colourful history, with owners and visitors including the rich and famous. Today it is a 72 bedroom, 4 star hotel surrounded by woodlands and 7 acres of private grounds and free on-site car park. Audleys Wood Hotel is the ideal venue for such teambuilding activities as Stocks in the City, Mixology, The Ultimate Team Build, Get in the Zone, Real Life Clu’Doo, Escape the Box, No Ordinary Quiz, plus lots more. The hotel offers a range of bedrooms, from Classic to Feature rooms. It is the perfect venue for holding teambuilding events, or just getting together with friends for some fine dining. For meetings and conferences there is a whole host of options offering versatile meeting space for up to 200 delegates. Location: 18 miles from Reading and 32 miles from Southampton, with easy access from the M3. Moments from Basingstoke town centre. If you would like to hold your next event at Audleys Wood Hotel, contact us on 0207 1676 717 or email us info@rightangleevents.co.uk.